Tatuaje (pronounced Taa-twwa-hey) meaning Tattoo in Spanish, is the creation of "Cigar Rock Star" Pete Johnson with the help of the best cigar maker out there right now Don Pepin Garcia. Tatuaje cigars have been on everybody’s top 10 list for a while now, as these cigars are some of the best boutique cigars that have entered the cigar market in recent years. 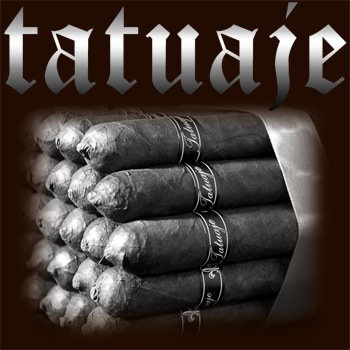 The limited production and perfect choice of Nicaraguan tobaccos makes the Tatuaje cigar #1 on everyone’s wish list. Tatuaje Cojonu cigars are a huge fan favorite, so be sure to get a box if they’re available.